With such a busy schedule she is able to stay motivated knowing the turtles rely on the organization’s efforts. Being able to educate and reach out to the public, volunteers, or would-be volunteers is also rewarding. To date her greatest achievement has been establishing the Volunteer Information Center (VIC), setup online, to keep Volunteers informed, and to more easily stay involved. Given the former “technological” challenges, she is quite pleased with the progress made. 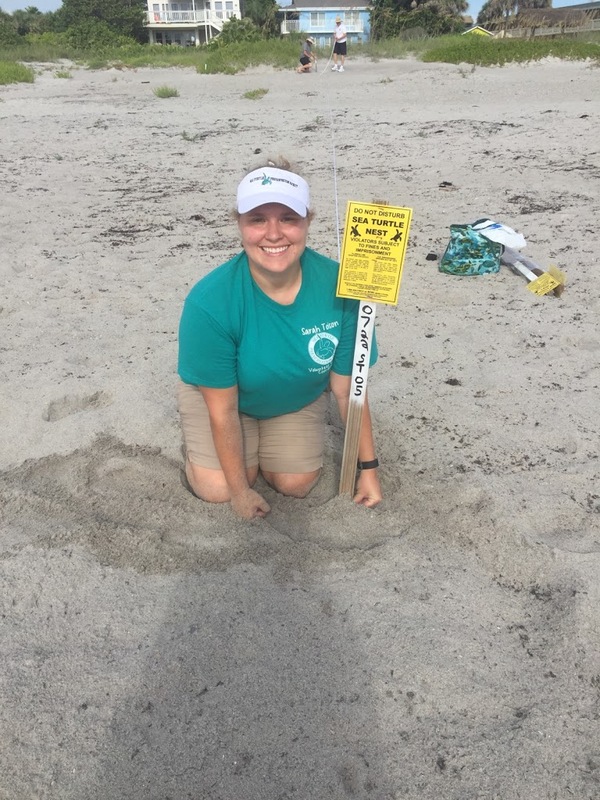 Sarah is excited to share that there are many exciting things to come including new updates to the website and moving Loggerhead Lowdown Blog to the new site. She is also excited about new opportunities for volunteers. Sarah would encourage any eager volunteers to “jump right in” and find the role you’re passionate about but cautions to not overtask yourself. One of the easiest ways to learn how to help is to attend a free training (such as Turtle Talk) and appreciate the importance of sea turtle conservation.